Paaspop is the first major festival of the year in the Netherlands, with a great line up, seven stages, and 25,000 daily visitors. To prevent any incidents at the festival, the security team keeps a close eye, using the super sharp images provided by Hikvision cameras. Paaspop is a three-day music festival that takes place in Schijndel during the Easter weekend. Young and old gather to enjoy the first days of spring and to dance to the tunes of great artists like Doe Maar, Kensington, Anouk, Waylon, UB40, DI-RECT, De Staat, and Moss. The event has been up and running for more than forty years and is the big opener of the festival season. "It's a festival that has a lot to offer for everyone," says Geert Goijaarts, organizer and former member of the Paaspop management team. “We offer theater, hardstyle, dance, rock, metal...just name it. But the main attraction is obviously the public itself. The unbridled enthusiasm of the festival visitors is fantastic." Organizing the festival is a major operation. Every year, a complete tent village emerges, being built and then dismantled within a few days. A large number of companies and individuals are closely involved with Paaspop in the weeks and months leading up to Easter and the event’s security is one of the major areas of concern. “For me, a festival is a success when people return to their homes safely. Tired, yet satisfied,” says Goijaarts. In order to have a festival without any incidents, Paaspop utilizes Hikvision video cameras. 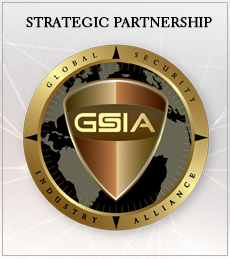 "With regards to security, you have several important tasks,” says Goijaarts. “You'll want to know what kind of people are entering the place, and keep a good eye on their mood. If something unacceptable happens, you can act quickly. In addition, we use cameras for crowd control. At peak hours, the festival site accommodates almost 25,000 visitors, and you want to prevent all of them going to the same location at the same time. The use of cameras enables us to take timely measures." Paaspop purchased the Hikvision cameras after consulting with Werner van der Heijden of WH Safety. 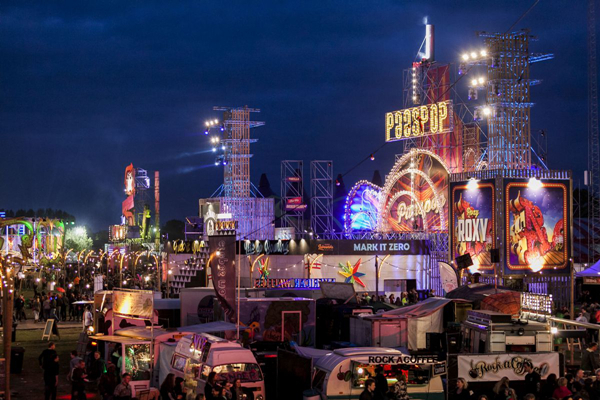 Van der Heijden advises Paaspop on the event's best safety measures, and installs the security systems. "They are very high-quality cameras that allow you to guard areas extremely well. The zooming function in particular is outstanding. Our PTZ (pan/tilt/zoom) camera's image is so sharp that we can even count the blades of grass from a distance of a few hundred metres," he explains. A sharp image like that is essential, because it’s important to see people's facial expressions in large crowds, and recognise faces. Do they look happy, scared, or angry? Based on this, security can decide to intervene or not. Having good night vision is equally important as Paaspop is a festival that lasts till the early hours. So, they also want good eyes on what is happening in situations with minimal light. Hikvision's infrared cameras offer excellent features for this. Even in pitch darkness, they still provide a clear view of the visitors. Paaspop uses over 40 cameras to monitor the entire festival area. The devices send their images to a control room, where two communication officers monitor everything closely. In the event of calamities, they can immediately inform people on the ground to act. Whenever a tent gets too crowded, the entrance is closed, with people only being allowed to enter when someone leaves first. “The cameras are an extra pair of eyes for the festival security," says Van der Heijden. "Standing in a corner of the tent, it is difficult to establish what's going on. However, from the control room, using the Hikvision cameras, it's no problem at all. Good festival security is an interplay between the insights of security on site and good camera images." Paaspop has several cameras in use – for example the popular 16MP PanoVu camera, which gives a 360° view. This model hangs in a mast above the main stage, providing a 360- degree image of the crowd. The camera also contains an additional zoom lens. This allows you to see everyone at the entrance from the main stage. Because of their own positive experiences, Paaspop even wants to rent out the camera systems, allowing other events (other music festivals, sports events) to be secured as well. A separate advisory and rental company, The Event Warehouse, handles this. Van der Heijden: "Paaspop is a safe festival, and Hikvision's camera security certainly adds to this. I always say: if nothing happens and there are no incidents, my event is a success!"